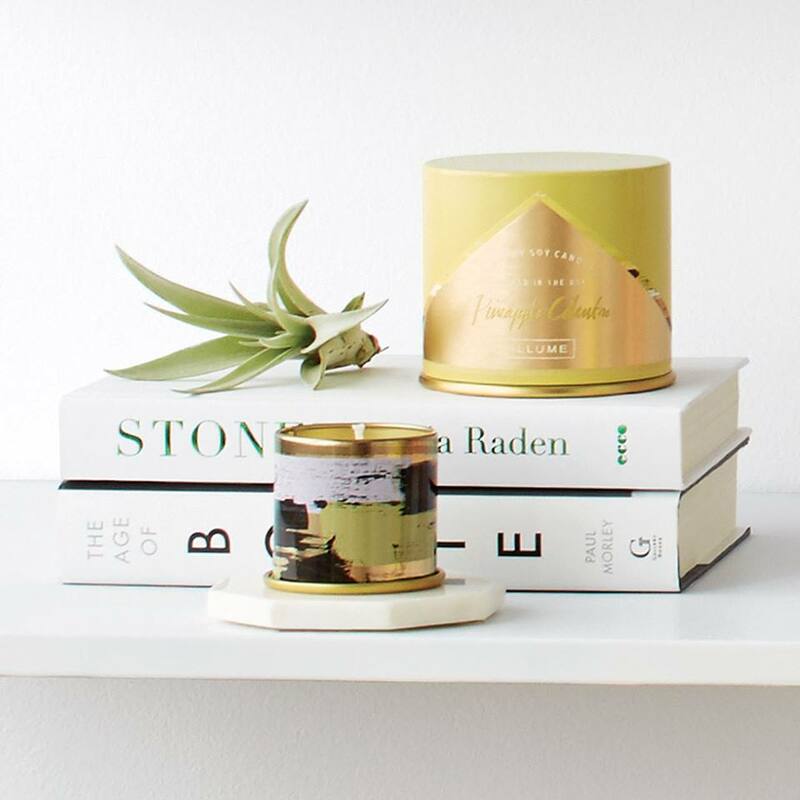 NEST Candles have been on the luxury home fragrance scene since 2005, when owner Laura Slatkin originally focused her efforts on private label fragrances for world class brands such as Tory Burch, Calvin Klein, NARS, Ralph Lauren, and more. Luckily for the rest of us, Slatkin launched NEST Fragrances Home Collection with high end home fragrance retailers and boutiques, like Candles Off Main. NEST is widely known as one of the most fragrant luxury candle brands. When choosing your first NEST fragrance, think about where you are putting it and who will be enjoying it. The Lemongrass Ginger scent is so refreshing and vibrant. I love this scent in the kitchen. Cooling eucalyptus tempers the delicious heat of ginger, while thyme and sage enhance the lemongrass with a heavenly herbal accord. What a great scent this is to enjoy at the kitchen table while pouring over cookbooks for meal-planning inspiration! Moroccan Amber is one of the best unisex fragrances in existence. It is also one of the most fragrant. Nest candles are known to provide a powerful throw. If you love a candle that truly fills a room (or floor!) with fragrance, this scent will not disappoint. In fact, you will likely capture the sweet and spicy notes for hours after extinguishing this sultry scent. Men and women have shared with Candles Off Main staff that this candle is a favorite for spicing up the bedroom. The NEST Orange Blossom Hand Wash is a real treat in the bathroom. We wash our hands several times per day, so it makes sense to turn this daily ritual into a pleasant sensory experience. I love to lather up with bubbles of citrus and floral notes that take me back to summers in Southern California, if only for a few minutes at a time. Every year we go to a quiet, small beach off the Atlantic — and while the vacation is always great, I wish I could bring the scent of salty air home. To me, coastal sights, sounds and smells truly unwind and relax the body. The NEST Ocean Mist and Sea Salt fragrance is really one of the most remarkable beach-type fragrances I’ve ever smelled. The refreshing essence of a gentle ocean mist is combined with hints of sea salt, white tea and coconut. When you can’t make it down to the shore, this fragrance provides an ambiance you’ll be sure to enjoy. And, if you’re lucky enough to live by the beach or the water, we highly recommend Ocean Mist and Sea Salt to enhance your coastal decor! Bamboo is a wonderful scent to gift. It is fresh, green, vibrant, and clean. 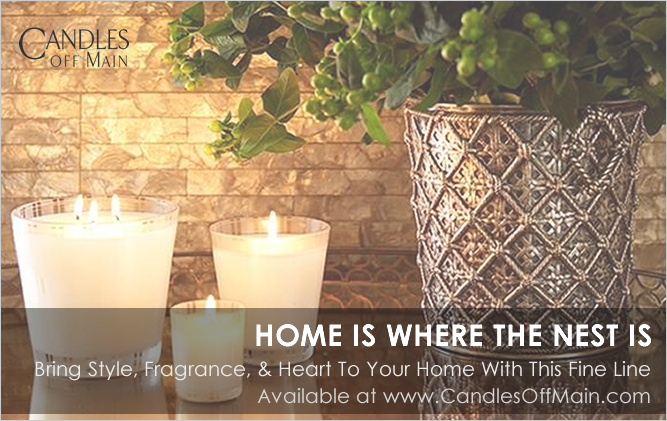 This fragrance is perfect for foyers, bathrooms, and bedrooms. Actually, this scent is amazing anywhere. While Bamboo seems to fit the spring and summer months most, Candles Off Main customers purchased scores of this scent to give this past holiday season. I can’t imagine unwrapping this fragrance in December and waiting until the warmer months to enjoy it. It is a sparkling pick-me-up any time of year. Owner and CEO Laura Slatkin is committed to using her business to benefit charities that are near to her heart. A portion of the proceeds from these select fragrances are donated to help raise money and awareness for those causes. The Blue Garden Candle was created to raise money and awareness for an important and personal cause. NEST Fragrances donates proceeds from Blue Garden candle sales to Autism Speaks. 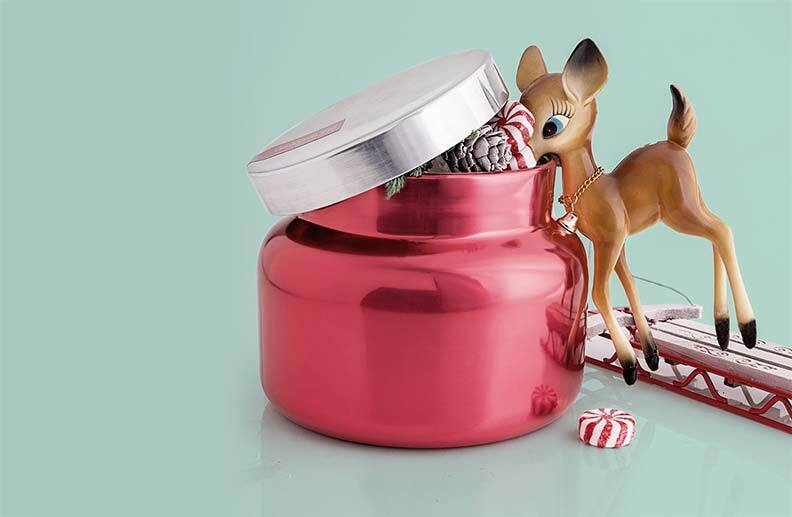 This candle is a brilliant floral with striking notes of hyacinth, hydrangea, and honeysuckle. Housed in a brilliant translucent chartreuse glass container stamped with a regal gold crown, the Sir Elton John’s Woodside Garden candle is the second in a series of candles to benefit the Elton John AIDS Foundation. This candle represents a handpicked bouquet from Sir Elton John, himself. A beautiful blend of hyacinth, freesia, rose, and jasmine will transport you to a glorious English Garden. Which of these fragrances have you tried and loved? Which is next on your list? If you are curious about any of these scents, remember that Candles Off Main offers three free scent samples with any purchase, or for less than $2, you can request up to ten samples. Sniff for yourself and let us know which NEST Fragrance you love the most.